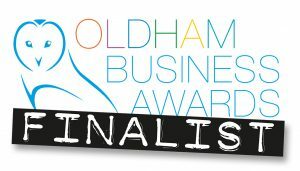 Simply Skin is easily accessible being close to Oldham Town Centre and benefits from free parking for the duration of your visit. It is positioned away from the main busy shopping areas, with a discreet exterior and private entrance. Whilst our interior is of the highest clincial standard, we offer a comfortable and friendly environment for your relaxation and reassurance. At Simply Skin Oldham we understand that the nature of our treatments can be quite sensitive and we always respect and put the anxieties of our customers first. We offer a decreet and caring service, offering the very highest of customer care and clinical excellence. We are dedicated to changing our customers lives by offering the right treatment based on personal service. Our staff are highly trained and experienced to not only give you outstanding service, but to also tailor treatments to your specific needs. To offer a more personal, compassionate and friendly service which sets us apart from other clinics. We are dedicated in offering treatments which are tailored to each individual client rather than a service based on sales and turnover. Why not contact us today to further discuss your needs - Contact Us. 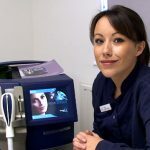 Simply Skin Director and Lead Practitioner Hayley holds over 8 years experience in one of the UK's leading Laser Clinics. Having spent such a long time within the Aesthetic Industry, Hayley has a vast amount of experience and knowledge, enabling Simply Skin patients to have the most effective yet safe treatment possible. 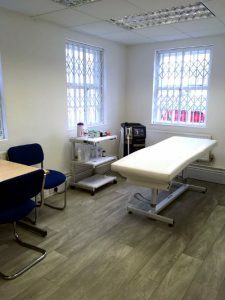 Sometimes it can be intimidating when first visiting a Clinic for the first time, but please be assured that your respect, comfort and wellbeing is our number one priority. We pride ourself on first class customer service, outstanding treatments and ultimately, a positive experience from start to finish. Hayley previously worked at a leading skincare clinic in Greater Manchester for over 8 years. She has had the opportunity to work with and learn from some of the leading doctors in the country during that time. Hayley has been trained using only medical grade lasers and cutting edge technology. During her time at the Clinic, she has performed a vast and varied amount of treatments including Laser tattoo removal, Laser hair removal, Isolaze light treatment for acne and advanced chemical peels. Over heer 10 years of experience, Hayley has developed a wealth of knowledge when it comes to skin and can offer an amazing treatment journey from the offset and throughout. Starting her own Skin Clinic in her home town of Oldham was a natural progression for Hayley, being very much focused on the patient journey. 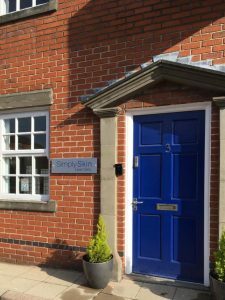 Hayley believes that her Clinic can offer a much more personal and dedicated experience to all her patients.